When a filling, crown, bridge, or other dental work is new, most people don’t think about how long it will last. Dental restorations aren’t designed to last forever, though. Today’s blog will help you know the symptoms that could indicate old dental work is failing, as well as how long various restorations generally last. 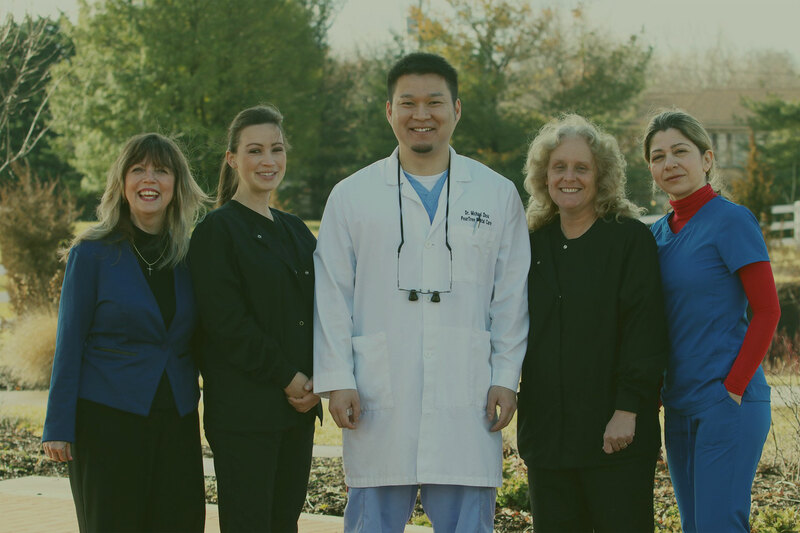 If you have any questions about your restorations, or you’re starting to feel an ache that may indicate it’s time to see the dentist, call Peartree Dental Care in Ellicott City, MD to book your restorative dentistry appointment with Dr. Zhou. Our number is 410-750-2599. The length of time restorative dentistry will last depends upon what the restoration is made from, its quality and fit, and how much pressure or work it has endured. Of course, accidents can occur and cause immediate damage. For example, people sometimes loose fillings when chewing on caramel, and a crown may break if you bite a nut or seed. An abnormal amount of pressure can also cause premature failure of dental work. An example of this is, people who grind their teeth at night may encounter significant wear on molars and any restorations placed in those teeth. Generally, though, restorations are designed to last a certain amount of time. If you develop a toothache on a restored tooth, and the restoration is older than the ages listed below, it may need replacement. Estimating the lifespan for your old dental work is virtually impossible, because so many factors contribute to how a restoration endures over time. However, there are a few known ways to maximize the lifespan of your restorations. First, brush and floss daily, and replace your toothbrush every three or four months. Next, visit Dr. Zhou’s office for regular checkups and cleanings every six months. If dental work is suggested, follow through with your treatment plan. Good dental and gum health will help your restorations last longer. Bruxers (people who clench or grind teeth) should seek treatment, either with a night guard or through dental equilibration, with restorative crowns or orthodontics. Avoid chewing on ice, non-edible objects, and don’t use your teeth to open packaging. Bad habits like nail chewing or pen-cap chewing should be broken as soon as possible. Dr. Zhou can make recommendations to help you stop these damaging habits, to protect your teeth. To find out if your old dental work needs replacement, call Peartree Dental Care in Ellicott City, MD at 410-750-2599. At your checkup, Dr. Zhou will assess your existing restorations and prosthetics. If you need replacement or new restorations, he’ll explain his findings and your recommended treatment plan. Our goal is to set your oral health on the right track, so you can avoid advanced dental problems, impaired function, and discomfort in the years to come.